Kristo is the head doctor and founder of Nordic Dental Clinic. Kristo is an attending physician at the University of Tartu Hospital and a lecturer at the Tallinn Health Care College. He often lectures at training courses and has been published in academic journals in his field. 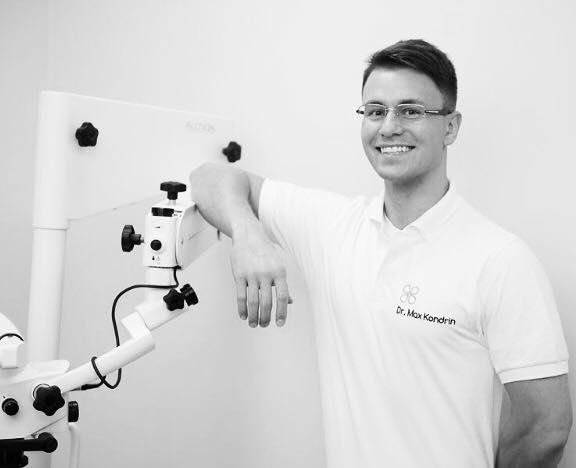 He has become one of the most respected and known dental care specialists in Estonia. Along with having outstanding manual skills, he also is very empathic and has great interpersonal skills. In addition to obtaining his PhD from the University of Tartu Faculty of Medicine, Kristo regularly participates in specialist training in Estonia and abroad. Besides his work, Kristo’s hobbies include sports and history, he is especially interested in biographies. 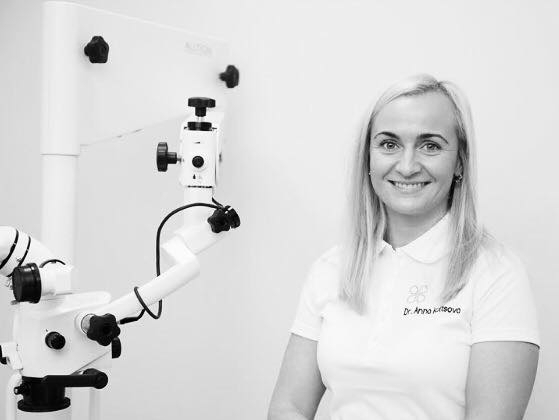 Pille has worked as a dentist since 2008, when she graduated from University of Tartu’s Faculty of Medicine with a degree in stomatology. After that, Pille has gone through further training in Estonia and abroad. Pille is a co-founder of Nordic Dental Clinic and her interests include oral surgery and prosthodontics. Pille spends her free time with her family. She works out and runs. Pille also likes travelling and snowboarding. 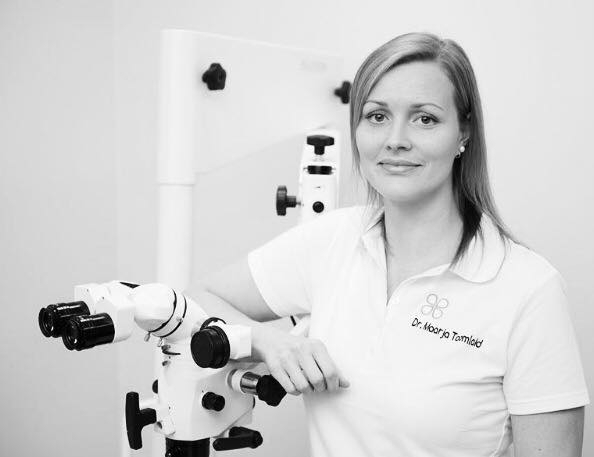 Karyna obtained her degree in stomatology from the Faculty of Medicine at the University of Tartu. 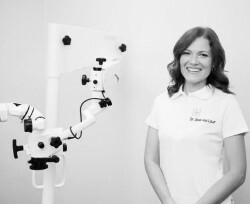 As a dentist, she likes taking on new challenges and, therefore, she is constantly participating at specialised training courses in order to continuously supplement her knowledge and experience. Karyna is without a doubt one of the most thorough and even-tempered dentists out there. 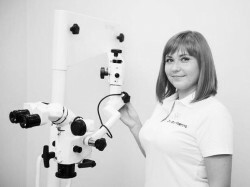 Already during her studies at the university, Karyna’s dedication was evident to all and today she has proven herself as a capable colleague, and we are honoured to have her among the staff at Nordic Dental Clinic. Anna joined the Nordic Dental Clinic team in 2014. 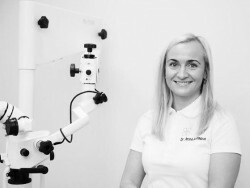 Anna has proven herself on the Estonian dental care landscape as a very hard working and competent colleague, who has won the trust of her patients. 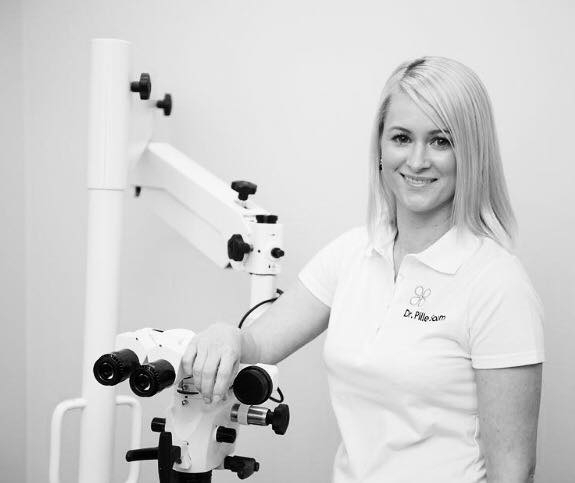 Anna’s impressive development in the profession as well as her great communication skills with patients and colleagues are the characteristics that make her a good fit for our brand. 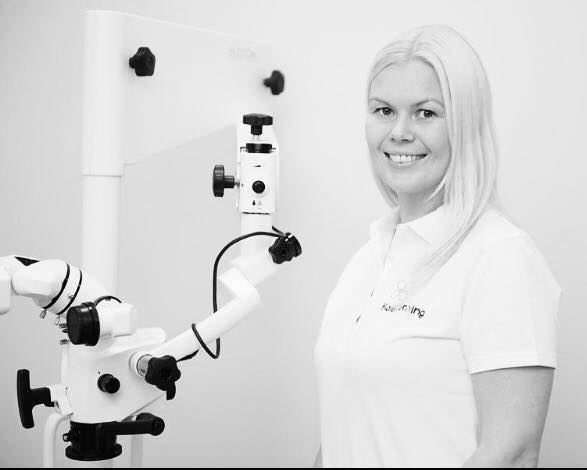 In a short time, Anna proved herself in our clinic, and feedback from patients and colleagues has further confirmed that Anna joining our team has been a step in the right direction. Anna is constantly participating at training courses, at the clinic she takes initiative and contributes her thoughts and ideas to furthering the field, making her a colleague known for her cheerful demeanour as well as the dedication she brings to her work. 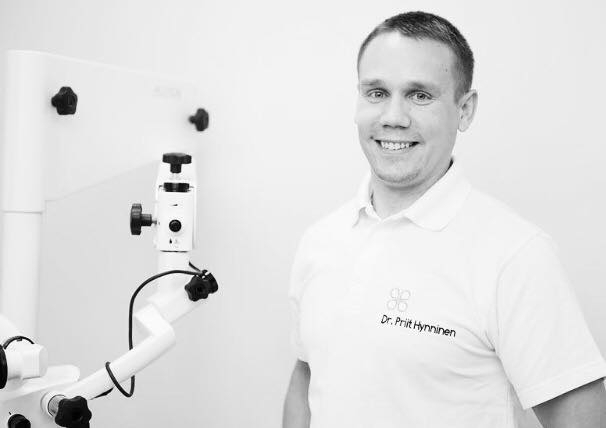 Priit has been working as a dentist since 2007, when he graduated with a degree in stomatology from the University of Tartu Medical School. Besides dental treatment, Priit is interested in the field of dental surgery, where he has quite the knack for helping those patients who need tooth extractions. At Priit’s appointments, even those most scared of dentists get over their fears. Kai has worked as a dentist since 2003, she is specialized in pediatric dentistry, implantology, prosthodontics, surgery and endodontics. Kai spends her free time with her family. She likes jogging, swimming and enjoys being in the nature. 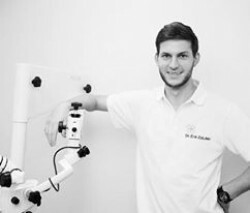 Erik has been with Nordic Dental Clinic already since 2013. Erik has an intense desire to become one of the best in the field and he certainly has what it takes. Erik isn’t the only dentist in his family. His sister is a recognised dentist/oral surgeon in St.Petersburg. The fact that Erik constantly wants to learn more, take apart questions that come up in the field down to the very root of the issue, to find out why things work the way they do, shows his sincere interest in the field. Since his 3rd year at the university, in addition to his schoolwork he has been at the clinic to assist the head doctor nearly every weekend. At his own initiative, he also goes to a dental technology laboratory to study about and participate in the work of dental technicians, so that he could understand the different nuances of their work. Erik also studied dentistry abroad, at the University of Strasbourg in France. In 2015 he completed his mandatory process internship the same university in Strasbourg and left with the highest recommendations of the dean of the faculty. 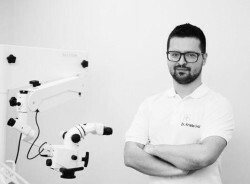 He headed the association of dental students in 2014-15, was on the University of Tartu Medical School academic board, as of 2013 he is part of the University of Tartu Stomatology Clinic research group, and since 2012 he has also been a member of the Programming Board of the University of Tartu Department of Stomatology academic board. He has absolutely everything required to be one of the best dentists in Estonia one day. Erik is also one of the shareholders of a company that imports the natural bamboo toothbrush Humble Brush, the US brand Megasonex and Enlighten from London. During the last 25 years, most dentists, oral surgeons and face and jaw surgeons working in Estonia and abroad have studied face and jaw surgery at the University of Tartu with Aili as their teacher. Our head doctor Kristo considers Aili to be his main influence and mentor. Kristo says that the opportunity to study oral surgery under Aili’s supervision during his residency at the oral surgery department of the University of Tartu was a big factor in him becoming the doctor he is today. Thanks to her extensive knowledge, her colleagues also like to call Aili a “living medical handbook”. She consults colleagues at the University of Tartu and further away by phone and e-mail. Aili has been a mentor to our team. While she doesn’t regularly see patients at our clinics, she has been of great help to our team, offering advice and hands-on help. She takes part in more complicated surgeries at our clinics as a consulting doctor, and she is a valued speaker at the training sessions we organize. Her scientific work on the topic of “Regeneration of parodontal bone defects” has been awarded the prestigious Julius von Szymanowski prize.